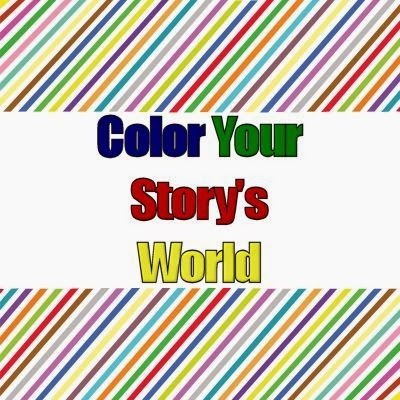 One quick yet important way to infuse your story with meaning (emotionally, mentally, physically, even spiritually) is through color. Research shows that color can affect mood and human behavior, and those in marketing often use color in branding products. …Setting’s personality? What colors within the setting create this personality? …Character’s personality? What colors in a character’s dress and home create this personality? …Conflict? Think about your protagonist and consider contrasting colors to represent your antagonist(s). Don’t go overboard in using color; a little goes a long way. Don’t be cliché in your use of color; allow color to work in the context of YOUR story. When painting your story’s world, how important is color? Will definitely have to check out this link, Diana. Thanks for providing it! I'm not sure how much color impacts my stories ... but I sure would like to see a little more green resulting from them. You and me both, Christopher! I was just reading some stuff about this. Very interesting. Color engages one of the senses and helps to paint a mental picture. The color of the sky, the leaves, the ground, a room, even clothing sets the mood. Used wisely and with insight, it brings depth to both scene and character. I do like knowing the color of things ... not so much people. Color does make a difference in a story. I like the idea of a character having a signature color.